Many people are transferring their websites to concrete5 from other platforms, or from static html websites. In most cases the page addresses on the old website and the new one will differ. if there are any external links to your old-style URLs, they will continue working and visitors will get to a proper page instead of annoying "Page not found"
Please note that by default concrete5 allows to set 'Additional path' for a page via page properties, but this will work only for pages like an example #1 and not for an example #2 or example #3. So, if your website consisted of just few .html pages, you don't need this addon, don't waste your money. 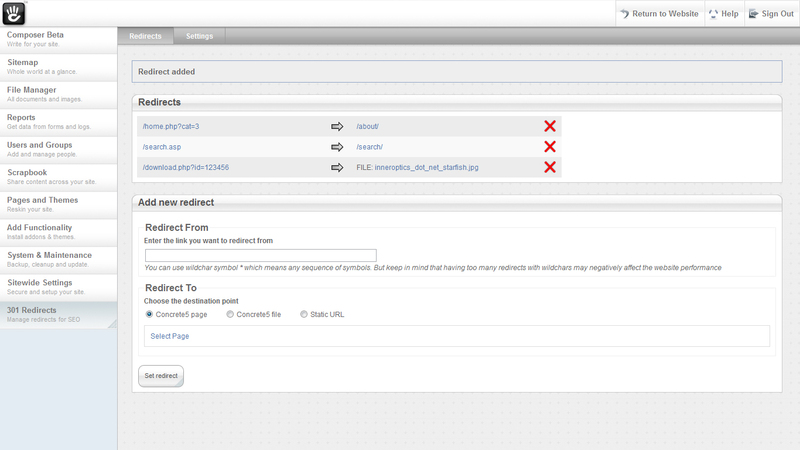 Important: Pretty URLs must be enabled in the dashboard settings.